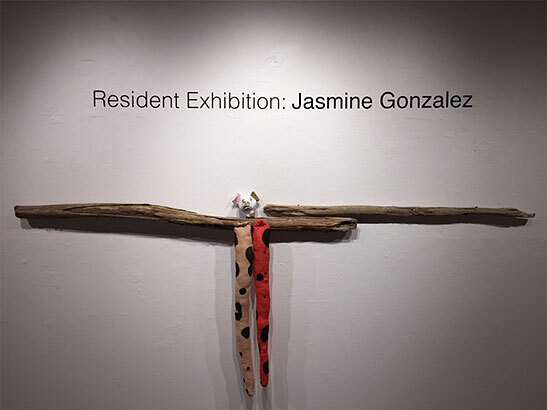 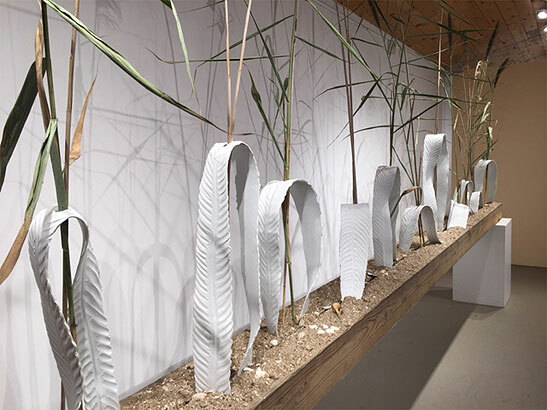 Works on View are Culmination of a Ceramics Residency by Jasmine Gonzalez. 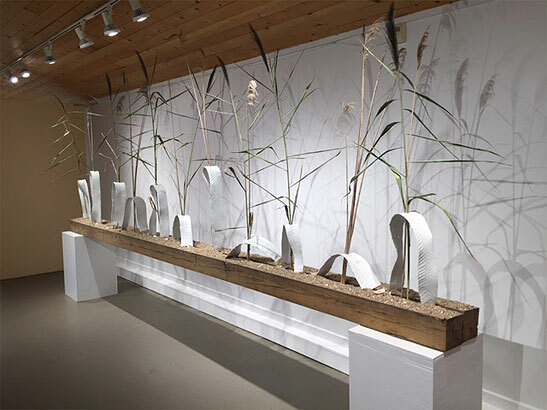 The exhibition was on view at the gallery August 12-September 4, 2016. 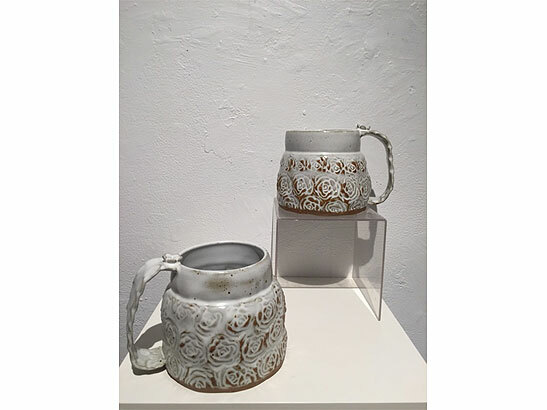 Gonzalez creates a balance of functional pottery as well as more conceptual works. 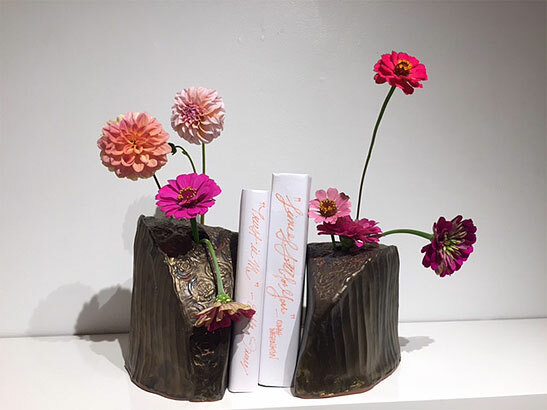 Her work’s inspiration flows from the relationships she’s created with the colorful people she meets as well as the natural environments we inhabit personally and communally. 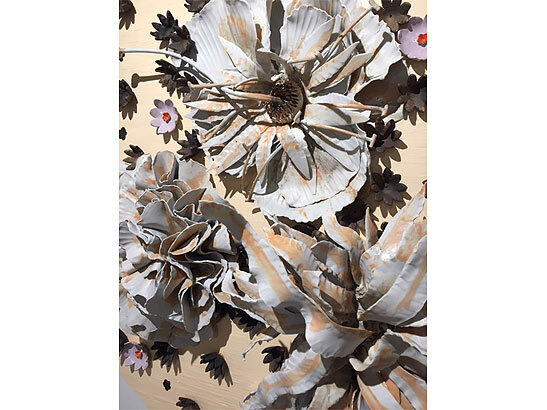 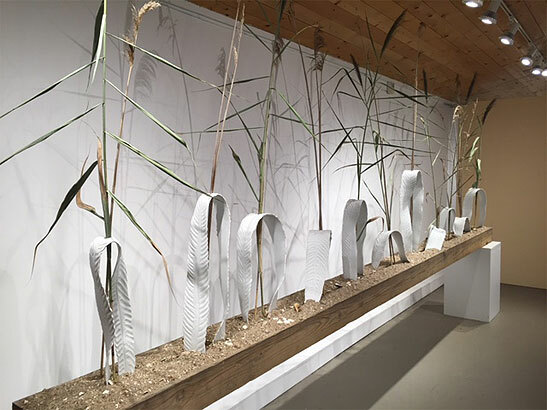 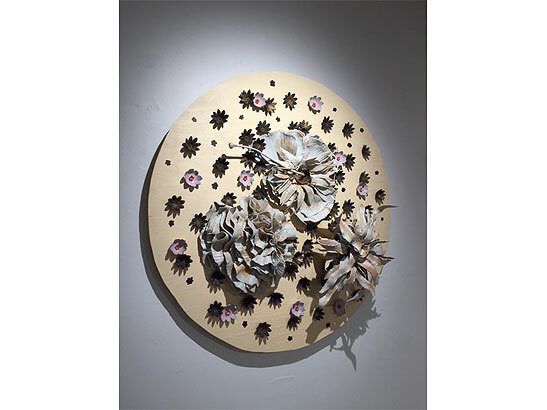 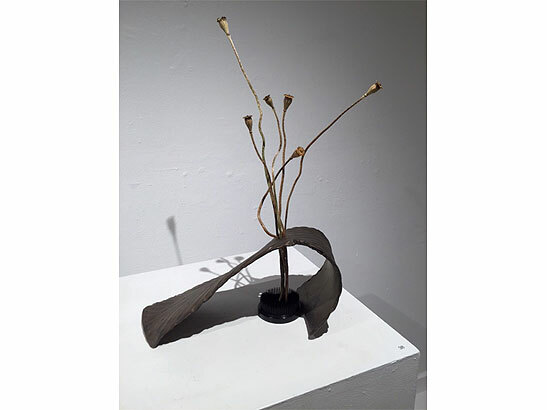 She is using both high fire and low fire clay in electric and atmospheric firing processes at Guilford Art Center as well as incorporating some other media such as wood, wire, sea shells, and plants to accentuate the ideas being portrayed in her upcoming solo show in early August. 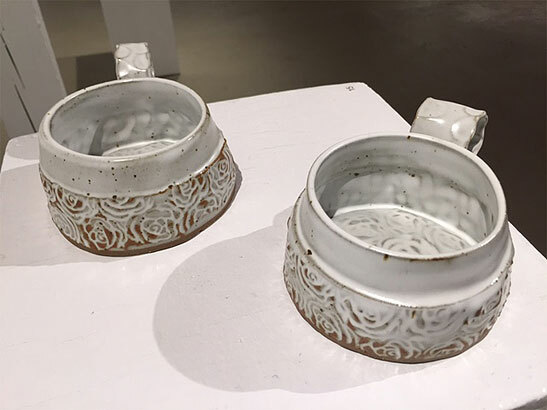 Gonzalez received her Bachelor of Fine Arts from the University of Hartford, Hartford Art School in 2014, with a major in Ceramics and Sculpture and a minor in Art History. 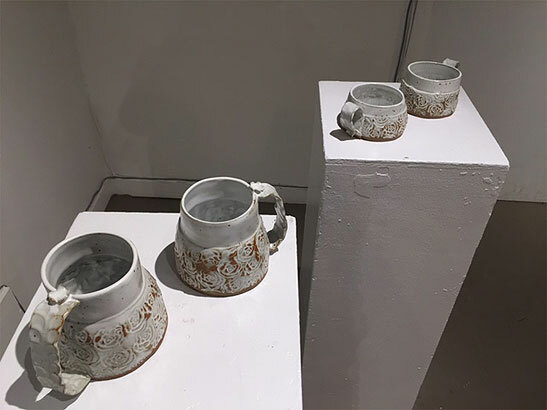 She has been the first person to serve in the newly-created Resident Potter position, and this exhibition is the culmination of her work during her time at the Center. 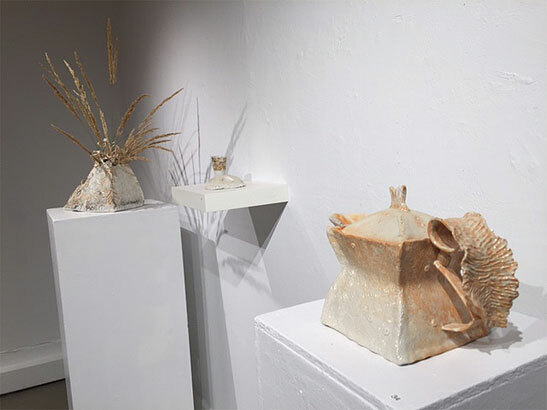 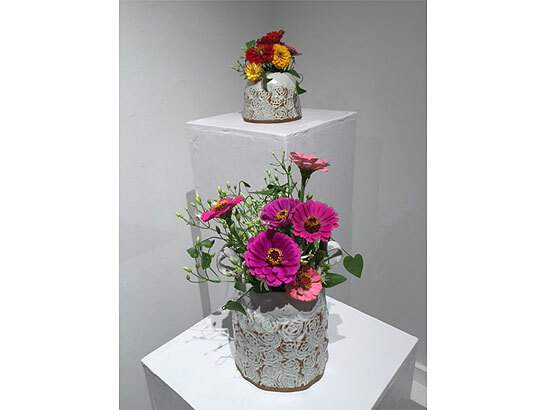 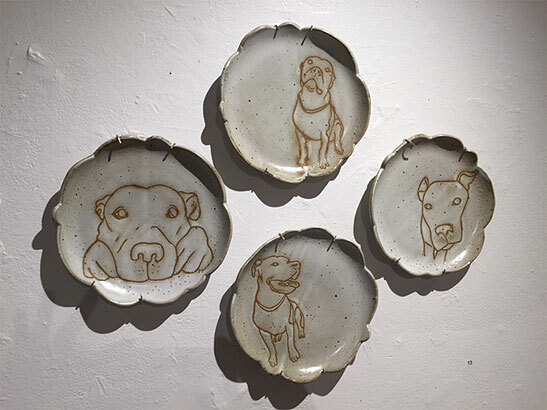 In her capacity, Gonzalez has been responsible for working with pottery students, overseeing the facility’s studio practice times, and providing inspiration through her presence and her own creativity. 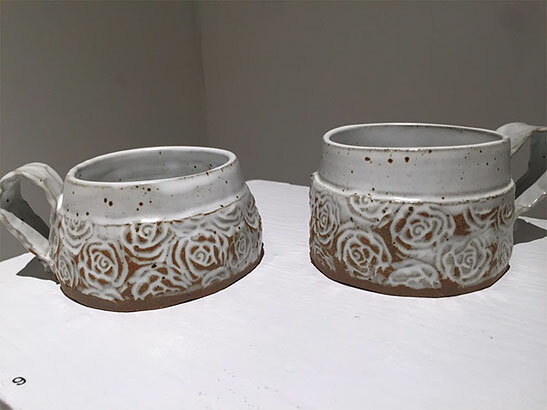 The position is designed to provide the Resident with time and space to develop their own ceramic art while contributing to the workings of a communal pottery studio. 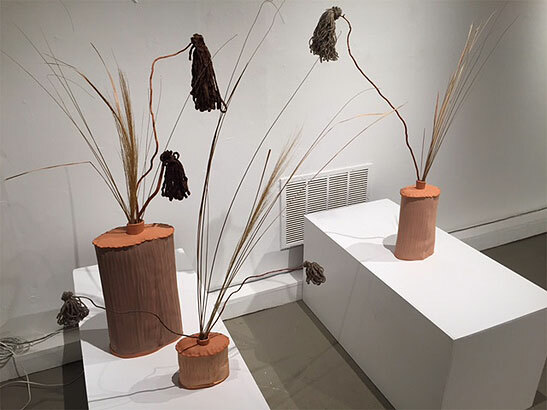 • Click here to read the Artist’s Statement and included works.